Two designers have used the infamous Jaws poster as inspiration for their latest creation to help raise awareness about shark conservation and shark culls. The movie Jaws is a classic, but unfortunately it made a lot of people irrationally afraid of sharks—and, arguably, small boats. 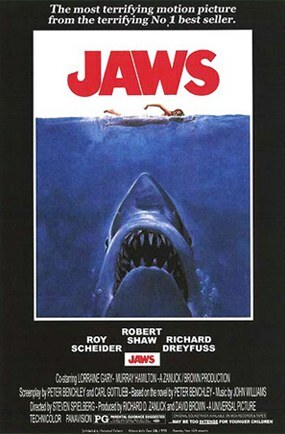 There can be no disagreement, though: Jaws and its posters, such as the above, are iconic. 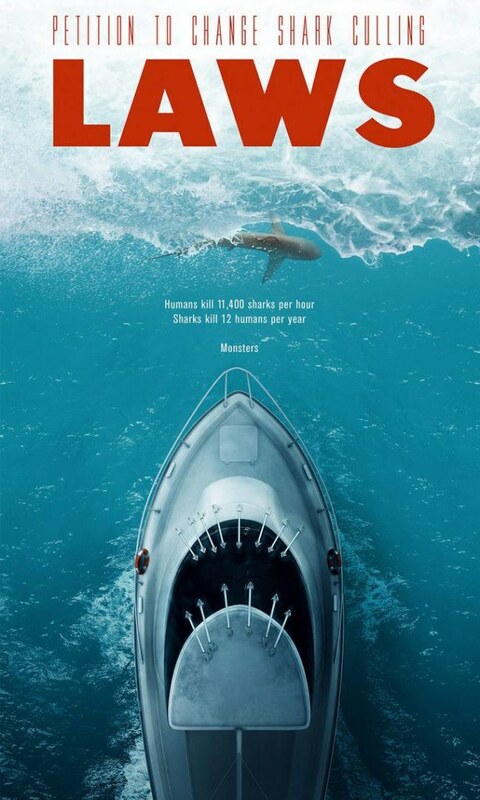 That's why two designers Featherwax and Matteo Musci have used the infamous Jaws poster as inspiration for their latest creation: a design to help raise awareness about shark conservation and to point out the cruel hypocrisy of shark culls. "The concept here is to compare the number of deaths each species cause each other," the designers say of their work. "And visually turn the feared image of a shark on its head." It's a powerful image that not only helps dispel some of the myths perpetuated by Jaws, but one that also uses the power of the film's fame to create a lasting impression that's for sharks, not against them. 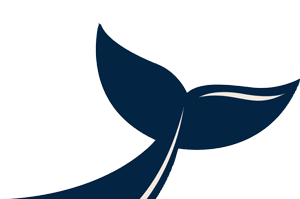 Learn more about some of the biggest threats facing sharks here.